West Texas WPA Landscape. 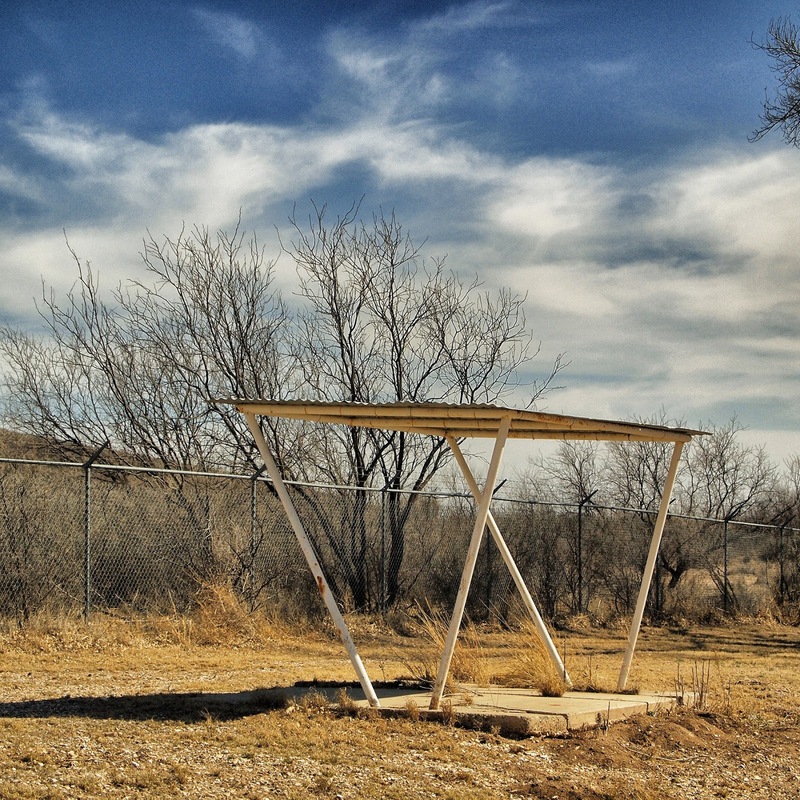 Picnic Area in the Middle of Nowhere. Olympus EP-2 camera. Lens not noted. I spent time on Saturday evening re-watching the Beatles movie: "Hard Day's Night" and was once again blown away. Not by the story-telling or the celebrities but by the wonderful camera work and moving imagery of the work. Director, Richard Lester, brought an amazing visual aesthetic to this 1964 classic with his use of moving, handheld movie cameras and the great (and nearly noiseless) 16mm and 35mm black and white scenes he was able to capture. A lot of the interior scenes and on-the-train scenes were obviously lit and lit quickly but the majority of the film is like watching a beautiful photographic spread in an older Life Magazine spring to life and move. So, what was I doing hanging out on the couch watching an old movie when I should be out dancing and schmoozing and making the chauffeur earn his keep on a Saturday night? Good question. I was actually doing research for a short film I'm starting on next week. There is a comedy theater in town that I work with (Esther's Follies on Sixth Street, in downtown Austin) and I'd been thinking about making a small, black and white film to create an artsy look at the energy and movement that goes on there in front and behind the "curtain." As a fan of Wim Wender's movie, "Wings of Desire" and Gordon Willis's genius work on Woody Allen's movie, "Manhattan", it seems only natural that I would want to work in black and white as well. Much of the footage I have in mind would be shot behind the stage, in dressing rooms, during rehearsals and other times, mostly in situations that have less than optimal levels of illumination. The working spaces at the theater are small and there's no real room for much supplemental light so I intend to shoot mostly available light to create the video content. And that brought me to the idea of supplementing the GH5 (original) with the newer GH5S which, in video, is said to be about a stop and a half to two stops less noisy, in low light. 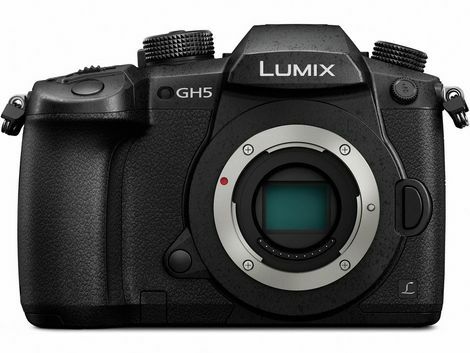 The two main differences between the cameras are that the GH5S is optimized for video so the sensor "only" has ten megapixels of resolution. This means the camera can use the direct imaging pixels in 4K video without the need to downsample or pixel bin. It should be a more carefully optimized video image. The second difference is that the "S" does NOT have in-body image stabilization so using it handheld with older, legacy lenses is problematic; unless I acquire and learn how to use a gimbal. I'm not too concerned about the lack of IBIS because my intention is to use lenses that already have stabilization, use the GH5 (original) in set ups where I want to use ancient lenses and IBIS, and to run out and buy a bunch of Olympus Pro lenses with their own stabilization. (Mostly kidding about rushing out to buy new lenses. The 12-100mm is stabilized and offers pretty killer performance. As does the Panasonic 42.5 f1.7 lens). Part of working with certain cameras is adapting to their limitations and using them as formal boundaries for seeing. If I were heading into the project looking for perfection at any cost I'd already be sourcing the rental of an Arriflex Alexa camera and a suitcase full of Zeiss Speed Primes. Right? How did the idea of acquiring a video centric version of the GH5 come up in the first place? Well, I have a good friend who is a brilliant video artist and, as a supplement to his Sony A7Rii, A7iii, FS7 and a few other fine cameras, he also bought both a GH5 and a GH5S. He's come to realize that, when using the m4:3 cameras for his video projects the one thing he values most is the IBIS; especially when using his inventory of older, cinema lenses. He wants two identical cameras so his B camera and A camera always can be made to match up exactly. I happen to have two of the GH5 cameras, and a bucket full of full frame Nikons, and my video needs are much less exacting than his. I can play around with two different camera variants and not even notice the differences in noise profiles that would drive him a bit nuts ---- especially when he's cutting together two different camera views of the same scene and can see (to him) a big difference in the characteristics of the noise. While the GH5S might be better optimized for video he's always got the dedicated FS7 video camera to turn to for a more exacting level of precision and quality. And, bottom line, it's fun for both of us to play with different cameras. We'll swap bodies and I'll toss in money to cover the difference in price, to make the deal fair. Then I plan to spend the better part of this week testing, testing, testing. Not just video features and performance but also how the GH5S handles regular photography. I'm especially anxious to see how it handles portrait work since it is the first m4:3 camera to come with the ability to generate 14 bit raw files!!! I think it's a great idea and it's certainly not one that will "break the bank." I'd love to hear feedback from other people who own the GH5S, or both cameras, to see what the gotcha's and pitfalls might be and how to avoid them. Let's share info in the comments. A most wonderful choice for anyone who needs to make a movie without a crew. If you are in Austin it would be fun for you, or you and the family, to go see "B and the B" at Zach Theatre. While you are enjoying the play pay attention to the lighting. It's very, very good. Above: The post card. I made the photograph and Rona Ebert did the design and production.